Here is Monster (then named Daphne) when she was at the shelter. 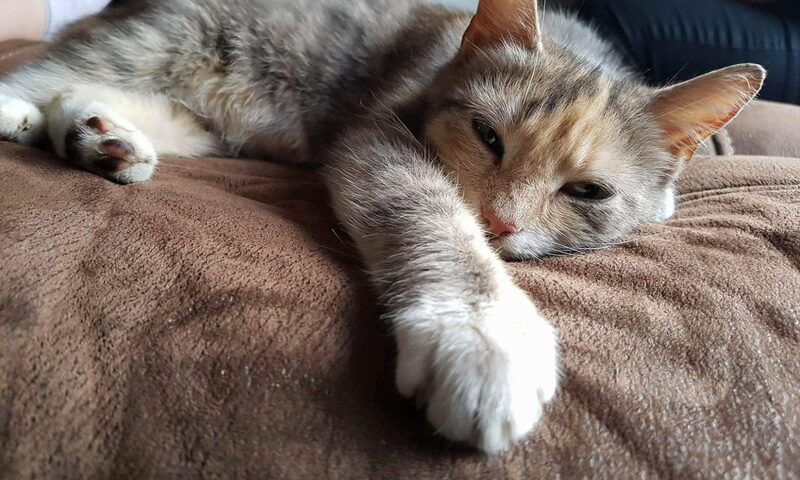 Unfortunately, her first home didn’t work out (through no fault of her own), and she was brought back after only 3 days. She was due to return to her foster home to await a new family, but the Humans arrived searching for a new furbaby. The normal waiting period is a few days whilst everything gets sorted out, but Humans were allowed to take her home that day so she didn’t get further confused by the back and forth. Moral of the story? Shelter animals go through a lot before you take them home, whether they’re old or young, but the love they give you once they understand they’re home forever is a beautiful thing.